This 27' Coronet Seafarer exemplifies what the Seafarer has stood to mean, roomy interior and large enclosed bridge layout, overall this boat is solid. 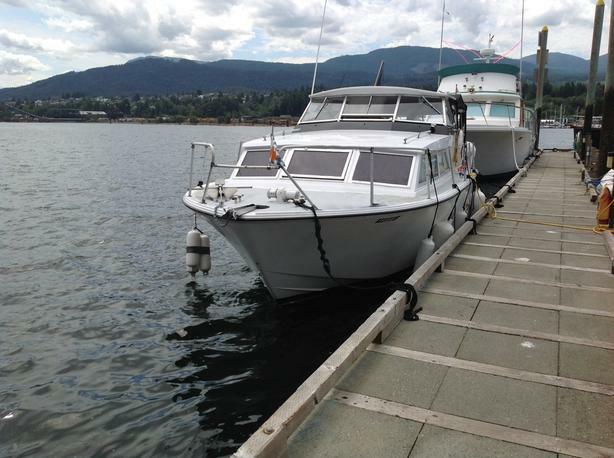 Fibreglass hull design with a single 350 Chev Block with a Volvo Penta stern driven, a 2013 rebuild as well replacing all electrical wiring to meet marine electrical code. Spacious cockpit area with the main entrance leading into the salon area and the cabins interior. An ideal boat for a live aboard or a summer getaway on the water. This vintage yacht is sound, cozy and move on board ready...just turn key and go. May 2017 Marine Survey completed available upon request.